We all know the film, we all know the plot and most of all, we all know the song. As of a few days ago, I have finally seen the film all the way through. Now before the eye rolling and gasping can begin, let me assure you that I had seen most of the film but I had watched it piece mail. After seeing it all the way through I have to admit, I actually really enjoyed Titanic. Quick recap of Titanic for those of you who live under a rock. Told in a flashback format, the film begins with an excavation team in present day (when the film was made of course) searching for the sunken wreck of the Titanic. Led by Brock Lovett (Bill Paxton) it becomes clear that they are looking for The Heart of the Ocean, a giant diamond rumored to have sunk with the ship. The team recovers a picture showing a woman wearing the diamond and find to their advantage that the woman in the picture is still alive. She gets in contact with them and tells the story of her time on the Titanic. 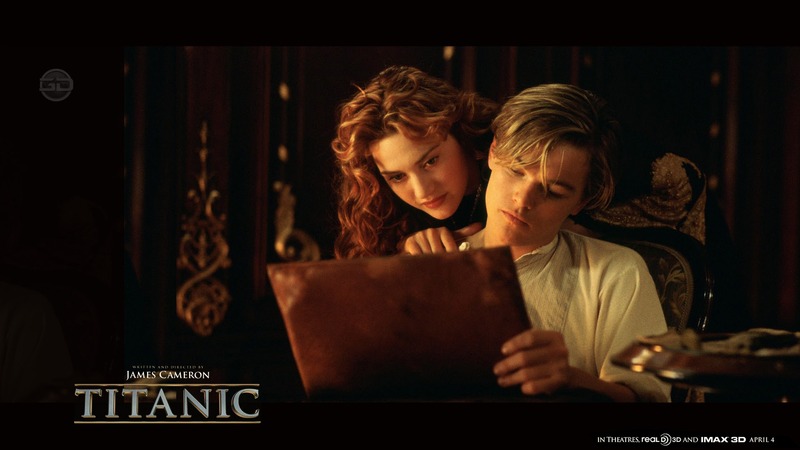 The bulk of the film tells the story of Rose DeWitt Bukater (Kate Winslet) and Jack Dawson (Leonardo DiCaprio). From different worlds, Rose arrives on the Titanic a member of a wealthy family with her extremely wealthy boyfriend Caledon “Cal” Nathan Hockley (Billy Zane) while Jack wins his ticket with his friend Fabrizio De Rossi (Danny Nucci) in a poker game. Rose lives in first class while Jack resides in third. The two probably would have never met if Jack hadn’t been at the right place at the right time. 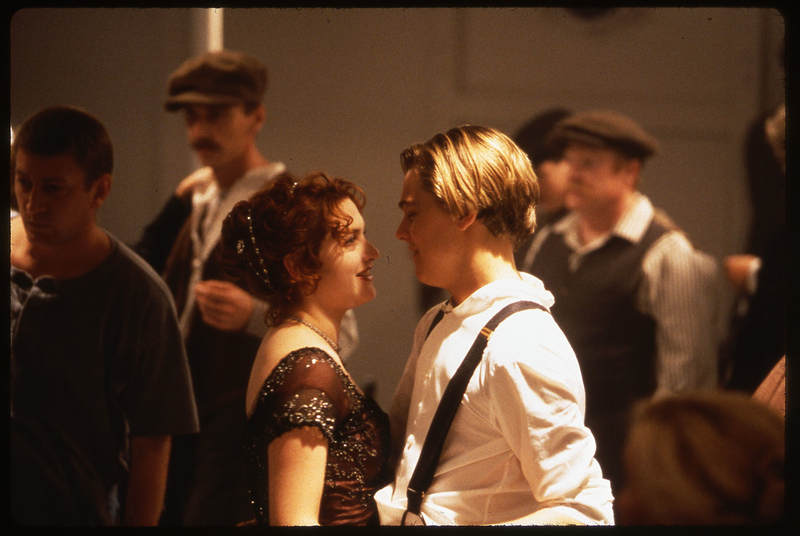 On the verge of suicide when realizing how unhappy she is in life, Jack manages to pull Rose back on board the ship before she jumps and romance is born. The romance between Jack and Rose is a classic, overplayed romance but it worked perfectly in this film. Two people from different worlds fall in love and learn to love each other even more as they try to traverse they respective worlds together. Jack is invited into Rose’s world as a result of saving her life in the form of a dinner with the ship’s High Class patrons. Though Cal and Rose’s mother (Frances Fisher) do all they can to embarrass Jack, he manages to survive the dinner with grace, charm and dignity. 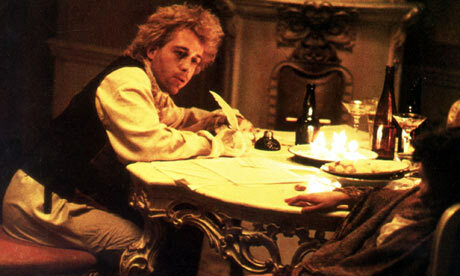 After his foray into the upper class, Jack brings Rose to the underbelly of the ship to a third class party. Loud, crazy and unsophisticated, the exact opposite of what Rose is used to, she fits in perfectly, dancing and drinking with the rest. While this romance, where two people from different social circles preserve their love against all odds, is extremely overplayed, it worked out perfectly in this film. Not only did it serve to frame character development, it really showed the variety of life, status and wealth that existed on the giant cruise ship. All walks of life had gathered and were at times force to commingle on the Titanic. I enjoyed watching this film but I also had a number of fundamental flaws with it, most of which can be traced back to director James Cameron trying to do too much. Prior to working on Titanic, Cameron had made a number of brilliant action films including Terminator and Alien, aptly proving himself as a skilled director. With Titanic, Cameron seemed to be much more scatterbrained. His work with the camera was impeccable, filling the film with perfectly orchestrated shots and scenes. What I didn’t like about the direction of the movie was that Cameron wasn’t able to decide if he wanted to make a drama or an action film. Instead he made a drama film, then he made an action film, then he smashed them together, making one confused film that ran too long. There was also a lack of character development throughout the film. Jack and Rose had great character development but there were a number of other characters that got lost in the shuffle of the film. There were a number of characters in both the upper and lower class that served as anchors, not really doing anything but giving us a face to focus on when the scene involved those classes which to me seems like a waste of time. In my opinion many characters fell into the background of the grand sets and the special effects that made up the last hour of the film. The only side character that I found to be memorable at all was Margaret Brown (Kathy Bates) and only then because Kathy Bates doesn’t have the ability to be on screen without making an impression. In 1997, Titanic went head to head with L.A. Confidential, As Good As it Gets, Good Will Hunting and the Full Monty and came out victorious with an Oscar Best Picture win and didn’t stop there. Taking a staggering eleven Oscar wins, including a win for James Cameron in Best Directing, the film still holds the record for most Oscar wins along with Ben-Hur and the Lord of the Rings: the Return of the King. While I didn’t want to like the movie that much, I have to admit that it is a well done film. I give Titanic a 7.5 out of 10. It may be a little bit long but it is worth seeing. My dear Frodo, you once asked me once if I had told you everything there was to know about my adventures. Well, I can honestly say I’ve told you the truth, I may not have told you all of it. All it took was a second of what I have come to called the Shire theme, that light-hearted flute melody that accompanied every happy Hobbit scene in Lord of the Rings, for me to feel right back at home in the Shire. Peter Jackson brings us back to Middle Earth, adapting J. R.R. Tolkien’s prequel of the Lord of the Rings to the big screen. While the film still has very violent and intense content, it is much more light-hearted and humorous than the Lord of the Rings films. Though there is a lot of controversy surrounding Jackson’s approach to the Hobbit, I found the Hobbit: An Unexpected Journey to be immensely enjoyable to watch. Just like in the novel, the film tells the story in one long flashback, the main character reminiscing about the events of his past. The Hobbit’s main character is Bilbo Baggins (Martin Freeman), a minor character in the original trilogy but the grandfather of the series’ main character Frodo Baggins. The events of the Hobbit tell how Bilbo came to be in possession of the original trilogy’s titular ring and explains how Bilbo became acquainted with the great wizard Gandolf (Ian McKellen). Set sixty years before the first three films, the Hobbit begins with Gandolf arriving at Bag End. Even though Bilbo doesn’t remember him, Gandolf proves that he knows the Hobbit and his family and decides to force Bilbo into an adventure. Making him the fourteenth member in a group of dwarves, Bilbo and the dwarves set across Middle Earth to the dwarves homeland, The Lonely Mountain. Filled to the brim with treasure, the dwarves were long ago nearly decimated by Dragon Smaug. Taking the Lonely Mountain by force and nearly making the dwarves extinct, Smaug took their treason and made the mountain his new home. Now, without recent sightings of the beast, the dwarves travel across the land to reclaim their home and what is rightfully theirs, battling parties of orcs, Azog the devourer, The Great Goblin, a necromancer and a growing ancient evil all before their final battle against the terrifying Smaug. The main point of controversy behind this film is Jackson’s decision to turn the Hobbit into a trilogy rather than leaving it one film. As a novel, the Hobbit is shorter than each of the three Lord of the Rings books which does make one wonder how Jackson managed to make three films, each one based on a longer book, but needs three for the shorter Hobbit. Originally the series was meant to be two films, one that looks at the journey across Middle Earth while the sequel chronicles the encounter with Smaug. In the novel, there are many portions where main characters like Gandolf are gone for long periods of time, periods of time that are explained through Tolkien’s many appendices. The third film will make use of these appendices, using them to expand the story. 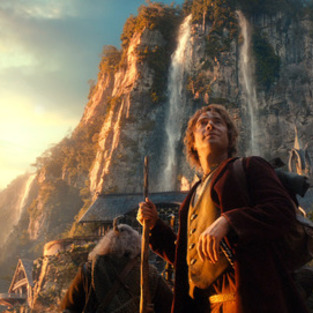 What is great about the Hobbit is that while we are introduced to many great new characters and locations, a number of locations and characters return from the original trilogy. Most notable out of the newcomers, which includes fourteen dwarves, is the dwarven prince Thorin (Richard Armitage). Thinking he killed the other new comer, the white orc Azog that declared war on Thorin’s family, killing his father and grandfather, Thorin is again forced to face his greatest enemy. A new wizard character enters the story, Radagast the Brown (Sylvester McCoy), one of only five wizard in Middle Earth. Hugo Weaving returns as Elrond along with Cate Blanchett as the elf queen Galadriel and, returning in one of the most stunning and well done scenes in the film, Gollum (Andy Serkis) meets a Hobbit for the first time. I very much enjoyed this film but not quite as much as I enjoyed the Lord of the Rings. There was something a little more childish about the Hobbit. With some obvious visual inspiration from Guillermo Del Toro, the Hobbit did not pull in many Oscar nominations and none for acting, writing or best picture. Nominations were in visual categories such as Best Achievement in Makeup and Best Achievement in Visual Effects. I give this film an 8 out of 10. It was incredibly fun to return to the Shine once more, especially knowing I will get to be In Middle Earth for two films more.